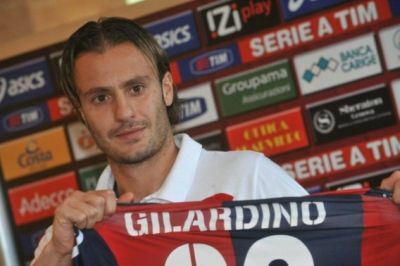 Tomorrow at 15.00 hours Genoa plays the first match with the new trainer Pasquale Marino and central forward Alberto Gilardino. The opponent is Cagliari, the team of the island Sardegna that has 18 points, 3 less than us. Mr. Marino misses the line-up players Kaladze, Veloso and Palacio at his debut tomorrow. The expected line-up: Frey; Mesto, Dainelli, Granqvist, Moretti; Kucka, Seymour, Constant; Rossi, Gilardino and Jankovic.